Younger Daughter and I -- as well as my dear friend Patty -- are counting down the hours until the start of our annual noveling madness known as NaNoWriMo. National Novel Writing Month is a month of crazy fun madness wherein participants write a 50,000 novel in thirty days. Younger Daughter and I have done this on and off for the last few years and it's...well, crazy, fun, and mad. My girlfriend Patty is also participating, and she and I have been banging plot ideas back and forth for the last couple weeks in anticipation of Friday's launch date. The resulting novels are frequently raw and much in need of improvement, but every writer needs to flex his or her writing muscles on a regular basis and NaNoWriMo offers an atmosphere of friendly competition and the ever-necessary deadline to make sure the seat of the pants gets put in the seat of the chair to get the writing done. So... who else is participating? 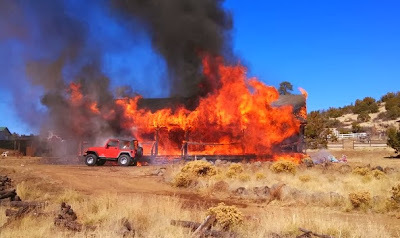 As many of you have doubtless heard, the blogger who runs Orange Jeep Dad suffered a terrible tragedy on Saturday -- their home burned completely to the ground. By the grace of God they and their pets/animals are safe, but they've lost everything except the clothes on their backs. Orange Jeep Dad is a hard-working family man with a family of six daughters who has spent the last couple of years striving for greater independence and self-sufficiency. They moved to a more rural area earlier this year, and now to lose everything so unexpectedly is shocking. Thankfully OJD and his family have kind friends who are taking them in for the moment, and their church is rallying around. But they need help. They pretty much need everything -- storable food, kitchen implements, furniture, anything. 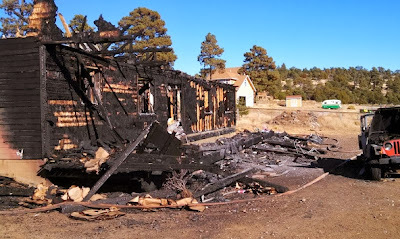 SurvivalBlog has post up on specifics of what this family needs; please visit the link here. James Rawles is also auctioning a roll of silver American Redoubt coins on eBay, with all gross proceeds to go to OJD. It's rare that I ask for donations on someone's behalf, but this is a clear case of a family in need. They could also use a lot of prayer. Thank you all on behalf of the OJD family. Please be generous. Now that chillier weather is upon us, it's instinctive to gravitate toward "comfort food." And what's more comforting than the humble macaroni-and-cheese? For those who have never tried anything but the boxed stuff, you're in for a treat. Last year Older Daughter went in search of a homemade recipe and found an excellent one here. While Older Daughter often makes a single serving for lunch, I "octuple" the recipe for a family portion. ...and put it on to boil (I wait until the water is boiling before adding the pasta). While the macaroni is boiling, I preheat the oven to 400F and then make the sauce, starting with butter. Since I'm using homemade butter, I measure eight tablespoons (half a cup) using displacement (putting the butter in one cup of water). I always use displacement measurement (remember your Archimedes?) for measuring stuff like butter, shortening, peanut butter, etc. Mixing melted butter and flour. When it gets too thick, I drizzle in some milk. The milk has to be drizzled at first, or the sauce will get lumpy. When all the flour/butter is smooth, then I can add the rest of the milk without forming lumps. The sauce has to be stirred for about ten minutes (I usually asign this task to one or the other kid) to thicken. Meanwhile I assemble the spices. As with any recipe, the amount of each spice to add depends on personal taste. I just tend to wing it. Next step, grating the cheese. Once the cheese is added to the sauce, it melts very rapidly. The result is a rich, cheesy, creamy sauce. ...and put it back in the same pot. The cheese sauce is poured over the macaroni. Can you see why this beats the boxed stuff? I use a Pyrex dish for baking. Before baking, I sprinkle Parmesan cheese on top. The recipe calls for a mixture of bread crumbs and Parmesan cheese, but the kids don't like the bread crumbs so I just use the cheese. Bake until the top is browned. The perfect comfort food for a chilly autumn evening! Here's this weekend's WND column entitled The Magic Health Care Fairy. Guest post: Why didn't I think of that? Following is a guest post by Nikolas Baron of Grammarly. Have you ever picked up a book, flipped through it, and thought to yourself, “Darn! Why didn’t I think of that?” Amateur writers, from housewives to students and retirees equipped with a dinosaur of a computer, are entering the scene with one simple idea and their ideas are proving to be immensely popular. Think C.S. Lewis, G.K. Chesterton, and even Malcolm Muggeridge. While the books that are flying off the shelf generally belong to writers who write fiction, and amateur writers really aren’t confined to this genre. The golden rule isn’t to find a missing niche in the market; as an amateur writer, it’s best to start with writing what you love. Let me assure you that unless you’ve been isolated on a desolated island for decades, your idea would appeal to a substantial amount of readers. So now the question is, where and how do you start? As part of my work at Grammarly, a proofreading website available worldwide, I’ve spent a good proportion of time evaluating what writers write, and various writing ‘pitfalls’ they make. Here are some of the best pointers I’ve gathered for you to get started on your winning idea. The most important part is simply to take the leap and decide to start. Though seemingly simple, many writers hide in their closets hoping to somehow ‘find themselves’ as writers first; but the thing is, you don’t need to wait until you know who you are to get started. It is in the act of generating ideas, putting it down, scrapping it, re-editing, and refining your ideas that you figure out who you are. No, it doesn’t make you a phony or your writing pretentious. I’ll let you in on a secret – most of the time, none of us knows what we’re doing anyway. ‘Then how in the world did you think of that?’ You ask. Well, truly creative work can come out of nowhere; it is simply in the act of doing that it does come. Go back to basics and don’t start at the computer. At the beginning, this seemingly-incredible technology is your number one enemy. Write out your ideas on paper, sticky notes, or anything that will otherwise make deleting your ideas difficult; try permanent markers and the wall, if you must. The thing about computers is that it is just too tempting and too easy to place that little pinky on the delete key and delete away what could have possibly been the next award-winning idea. Give your ideas a chance to develop and mingle with each other. It is in the mingling that awesome ideas puff out of nowhere. Finally, if you want to get published, there is nothing more important than impeccable proofreading. More often than not, word programs don’t have the ability to catch sentence structures or minute grammar mistakes. One way you could overcome this is to allow someone else to read your script. Another alternative many writers use are writing tools such as Grammarly, which has the capacity to pick up on the slightest punctuation, grammatical, and even sentence structure errors to ensure flawless writing. My WND editor, Ron, alerted me last week that his daughter's suitor has a younger sister (17 yrs old) who was T-boned in a car accident and severely injured. Sarah was flown to Portland in critical condition with some brain damage. This morning I asked for an update on her condition, and he sent this link. I asked permission to post a prayer request and link to Sarah's condition. 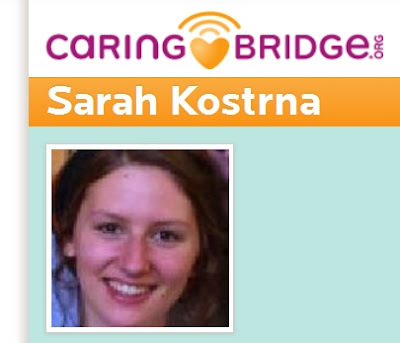 Please keep the Kostrna family, particularly Sarah, in your prayers. That is one of my big concerns as well; how to keep everything safe when the government comes knocking. Here in Canada we do not actually have "private property". This means that as per our Charter of "rights" the government can come along any time and without explanation and take your land for their own use. Yep, even if you bought the place outright. A friend put wheat, rice, sugar and other long term storage food in mylar bags and then into 5 gal buckets. He buried these in a well drained area of his yard and then put a cheap metal storage shed over the spot. He told me if he never needs it that he will never dig it up but if he does need it that it would be very unlikely anyone would have thought to move the old shed and dig up the ground undr it so it will still be there. Money/cash may in the near future become an issue. When a country enconters serious economic problems it usually has to devalue it's currency and print new bills. This gives them a lot of power to control YOUR money. They will automatically convert your savings and investments value and you will be allowed to turn n your old cash for the new devalued cash. But it's common that they don't allow very large amounts to be converted and in fact having a large amount of cash in such perilous times might make you subject to legal/criminal sanctions. It is not uncmmn to make it illegal to own gold and maybe even silver and you will be required to sell it to the government at a price they determine. There is one loophole that usually survives and that is silver coins and possibly gold coins as well. Not "rounds" but real coins that were minted by your contry or a nearby Democratic country. Buy old Candian or American silver coins and save them for the possibility of a economic collapse. Hopefully the comming collpase will not be as bad as some historical collapses. Either way silver coins would be a good investment. A loaf of bread today is worth about a (silver) dime. Even in the event of runaway inflation and a subsequent devaluation it is probable that a loaf of bread will still be worth a silver dime more or less. Gold coins have there place but they are difficult to actually use in the event of a SHTF situation. That is if youwanted to buy a loaf of bread and all you had was a one ounce gold coin how would the person selling you the bread make change. Guns in Canada are problematic. Can't you buy and own a shotgun? How about a decent pellet rifle. Pellet rifles are effective in taking small game. Consider a bow and arrow. Some preppers actually love bows and arrows for when TSHTF. There is a slingshot version that will shoot arrows. Here in the states black powder rifles that operate using flint or percussion caps are not heavily regulated perhaps Canada has some leeway for "antique" arms. I thought Lisa's questions (and the reply) were excellent and should be brought forth as a separate blog post so everyone can comment and we can all benefit. Keeping in mind Canadian gun laws are different than laws in the U.S., what kind of advice can apply to folks on both sides of the border? There's a bark-beetle infestation raging through these parts, and the majestic red firs are being badly impacted. We've lost about ten trees so far. As one of our major autumn chores, we had the sad necessity of removing six of the dead trees before moving the cattle into the wooded side of our property for the winter. So Don suited up and fired up the chain saw. Besides the chainsaw, his tools included a five-pound sledge and some wedges. There are a number of factors to consider when felling a tree, especially huge ones like these firs. The lay of the land, the proposed path of the treefall, fences or other items that might get crushed, and the size and slant of the trunk. The wedge should be less than half-way through the diameter of the trunk. The resulting wedge is called a cookie. ...then he hammers in the wedges to control the weakened tree and keep it from "sitting back" on the chain saw blade. It's impossible to underestimate the importance of these wedges, as will be illustrated with the last tree Don cut (more on this later). Tree down, exactly where he wanted it. He repeated this procedure six times over two days. The sight and sound of a giant coming down is awe-inspiring. And a bit sad. Don cut four trees the first day, two more trees the second day. The second-to-last tree he cut was the most worrisome because it was growing at an angle, and the angle wasn't convenient to where he wanted it to come down. He examined this tree from every direction for quite a long time, trying to assess how to bring it down with the least damage. However there was nothing for it -- the only path it could come down would take out a fence between us and our neighbors. Rapid repairs would be in order. Once this was determined, he got to work. It's no joke taking down one of these giants, and Don was very very careful. Once the cuts were made, he stood well back and watched it crash. Rather miraculously it did NOT take out the fence, but it did shear off some branches from this younger tree. Hopefully it will recover. The last tree Don felled seemed straightforward enough. Straight trunk, open path for it to fall. What could possibly go wrong? ...then completed the cut that would bring the tree down. Then suddenly he jumped well clear as the tree came down ninety degrees from the direction it was supposed to fall. What alerted him to this fact -- with enough time to get away -- was that the nearer wedge suddenly became loose as the weight of the tree shifted. Don knew this meant the tree was falling in the wrong direction. "Watch the wedges," he advised, referred to their importance when taking down a tree. From talks with logging friends, it's estimated that about one in ten trees doesn't fall where it's supposed to. That's why logging is such dangerous work, and why loggers have to be so vigilant and careful. I was glad when all the trees were down. But the work wasn't done, not by a long shot. Don limbed the trees, and then started cutting the trunks into sections. We stopped to rough-count the rings. It's easy to tell the wet years from the dry years. We guesstimated this tree was about ninety years old. It also had some bird holes in it. ...into what will become a burn pile. Then we borrowed a neighbor's tractor and started dragging logs. I was the choker (putting on chains). One by one Don hauled out the log sections. Some were almost too heavy for the little tractor to drag. We yarded the logs by the barn. The trees have been dead for so long that the wood is perfectly dry and suitable for firewood. Because the larger sections were almost too much for the tractor to pull, we cut the trunks into segments small enough to fit in the tractor bucket, and I used a peevee to lever them into place (no photos, sorry, I was busy). But it gave us a nice start on our winter's firewood! Despite the loss of the trees, our wooded area actually looks healthier without them, sorta like trimming split ends from long hair. We have a few more smaller dead trees to take down, but we're hoping we won't lose any more of our large red firs.